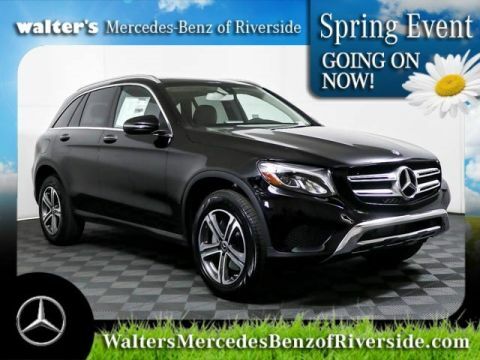 36 month lease on approved credit available only to qualified customers at Walter’s Mercedes-Benz of Riverside through Mercedes‑Benz Financial Services (where applicable to advertised lease) through 4/30/19. Advertised lease rate based on a gross capitalized cost of $41,076. Includes destination charge and P1 package. Excludes title, taxes, registration, license fees, insurance, dealer prep. and additional options. Total monthly payments equal $16,524. Cash due at signing includes $2,999 capitalized cost reduction, $795 acquisition fee, and first month’s lease payment of $459. Total payments equal $20,318. Subject to credit approval. No security deposit required. 10,000 miles per year with $.25 per mile in excess. $0 Security deposit. 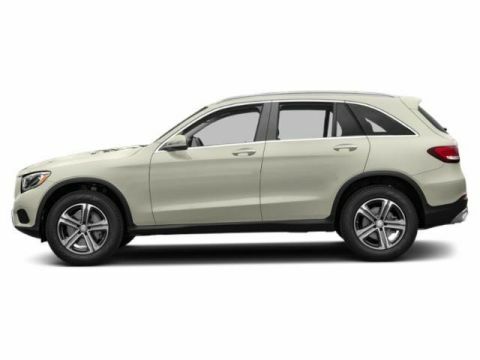 The 2019 Mercedes-Benz GLC impresses as a midsized SUV with an elegant and lithe muscularity. Its wide track and large wheels provide stability on the road as its wind-tunnel-honed body boosts mileage with superior aerodynamics. Before you decide to lease or buy this prime example of advanced automotive engineering, take one for a test drive at the dealership. While you’re there, friendly auto experts can answer your questions and reveal the many lease offers and specials available. Unless otherwise noted, all models of this SUV are driven by the 2.0-liter turbo inline-4, which uses 16 valves and 3-phase cooling to minimize emissions. Performance approaches 241 horsepower at 5,500 RPM and 273 lb.-ft. of torque at 1,300 to 4,000 RPM. The ECO Start/Stop system shuts down the engine when you stop or idle thereby saving on fuel. When lifting your foot off the brake pedal, the engine starts back up for instant acceleration. You can shut off this feature at any time. The vehicle’s more extensive range of ratios plus smaller steps between gears provides the 9G-TRONIC automatic transmission to adjusts gears quickly and seamlessly. You can control shifts using a convenient electronic selector or shift paddles that keep your hands on the wheel. The DYNAMIC SELECT program lets you change up the feel with various modes of ECO to save fuel, Comfort for easy cruising, Sport for better responsiveness, and Sport+ provides a thrilling ride. You can also create your settings through the Individual mode. The Electronic Stability Program (ESP®) prevents understeering, oversteering, or wheelspin by reducing engine power and individual braking wheels, so you always maintain control. When towing a boat or camper, the Trailer Stability Assist monitors for sway and rectifies it by engaging the front brakes of your SUV. To increase overall stability while reducing weight you have a four-wheel multilink suspension that employs components forged from high-strength aluminum. The selective damping system automatically manages individual shock absorbers based on driving style and road conditions. Shocks firm up during sharp maneuvers and cornering. They loosen their damping rates for gentler motion during smooth cruising. If the ESP® detects understeering as you corner, the Torque Vectoring Brake system brakes the inside rear wheel to distribute torque to the outside wheel. Your SUV pivots gently to compensate so that your line of travel better matches the turn. Adaptive braking technology adds more stopping techniques. Hill-Start Assist prevents your vehicle from rolling down slopes when you start by holding the brakes long enough for you to move your foot from brake pedal to accelerator. When it rains, Automatic Brake Drying removes water from the discs by momentarily activating the brake pads. Moreover, if Predictive Brake Priming detects that you’ve lifted your foot off the accelerator quickly, it moves the pads closer to the disc, so you get a more immediate response when you engage the brakes. 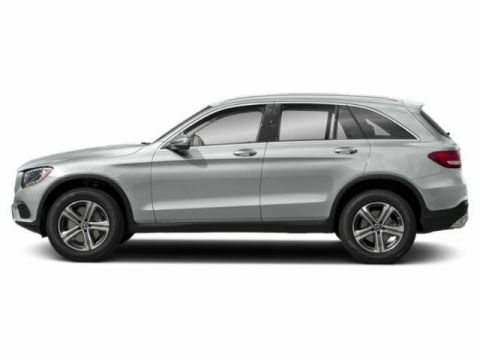 The 4MATIC® permanent all-wheel drive forms an integral part of the 2019 Mercedes-Benz GLC 300 models. This drive works with the ESP® and the four-wheel Electronic Traction System to increase your control on the road, especially when surfaces are slippery or when you’re rounding a corner. When this feature detects slipping wheels, it automatically diverts torque to the wheels with the most traction, even if it’s only one wheel. The SUV’s luxurious interior enriches the console and doors with Natural Grain Brown Ash wood. Available richly-grained double-stitched leather can be hand-fitted to the head restraints and the seats. Aluminum is used to highlight the switches and the aircraft-style vents. The driver’s seat comes with 14 power adjustments that include four-way power lumbar support. You can intuitively adjust your position using seat-shaped controls and use the memory to store up to three settings that include the side mirrors and power steering column. On cold days, the heated front seats can warm you up. On any day, the Dual-Zone Automatic Climate Control lets you, and your front passenger set your temperatures, which automatically compensate for any changes in the outside weather. The rear seatbacks power-fold in a 40/20/40 split to increase cargo capacity. When you have to carry larger items such as surfboards, snowboards, or bikes, you can attach crossbars to the low-profile roof rails that shine with an anodized silver-shadow finish. You’ll be wowed by the FrontBass® system, which uses the rigid members of the front frame to act as resonance chambers for the subwoofers under the dash. You can manage this multimedia system using a central controller on the dash and a color seven-inch display. Download the Mercedes Me App onto your smartphone, and you can remotely start your vehicle, lock or unlock doors, locate your ride, get assistance, monitor such data as fuel level and mileage, and integrate a smart home system, so it activates when your SUV enters a pre-defined area. You can program your SUV to turn on its exterior lights when you unlock it in the dark, so you are welcomed to an illuminated path. Whether you’re heading for freeway runs or city errands, you’ll get around more confidently with passive and active driver assists. When you need help right away, press the red SOS button, and are then connected to a live agent from the Mercedes-Benz Emergency Call Service. By monitoring up to 70 indicators of driving behavior, ATTENTION ASSIST® can determine if you’re getting drowsy and jolt you into wakefulness with audio-visual signals. Go into reverse, and the rearview camera reveals a live 180-degree view of what’s behind you while imposing colored guidelines on the image, so you know where you are headed. Head forward, and Crosswind Assist can counteract the effects of strong side winds by strategically braking the wheels on one side of your car and adjusting AIR BODY CONTROL suspension if your vehicle so equipped. If you approach an object or vehicle in front of you fast enough to indicate a collision, Active Brake Assist can either increase brake pressure or initiate braking to prevent an accident. The SmartKey lets you use your key fob to remotely lock the door, open the trunk, and start the car by pushing a dashboard button. It also features a Panic button when you need help fast. The button forms part of the anti-theft alarm system that flashes the lights and sounds the horn if someone tries to open the hood or trunk without unlocking the vehicle. 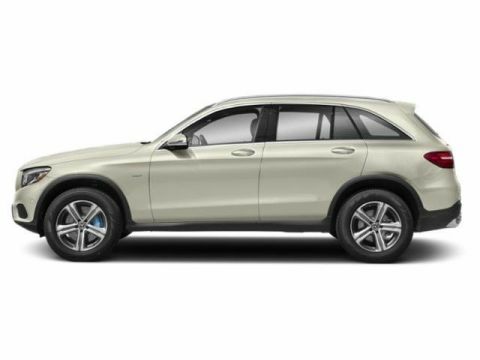 You can further increase the amenities in your 2019 Mercedes-Benz GLC 300 by opting for one or more of over a dozen available packages. The following are some of the most worthwhile. This package adds three convenient pieces of technology. Blind Spot Assist signals you if a vehicle has entered your blind zone. SiriusXM® Radio gives you a six-month trial of over 150 channels that cover commercial-free music, live pro-sports, and the latest news. KEYLESS GO® keeps the Smart Key in your purse or pocket. You can then lock and unlock doors by touching an exterior handle and run the motor by pressing on the brake pedal and engaging the Start Engine button on the dashboard. Integrate your compatible smartphone into the infotainment system with support for Android Auto™ or Apple CarPlay™. You can then use your car’s in-dash color screen, steering wheel controls, and the central controller to make and receive smartphone calls, manage your text messages, stream your music playlist, or engage other compatible apps. This package turns your cabin into an infotainment powerhouse starting with COMAND® navigation that depends on GPS technology to find your way and a hard drive to store points of interest and maps. The color 8.4-inch high-resolution screen displays turn-by-turn directions complete with 3D maps. This package comes with free navigation updates for three years and five years of SiriusXM® Traffic and Weather to steer you around driving problems with the up-to-the-minute reports. You can control your infotainment functions using the innovative touchpad controller and its rotary knob. You can also speak your commands using advanced voice control. Improve your road protection with a suite of driver assists. Using radar technology, Active Distance Assist DISTRONIC® adjusts your speed to respond to changing traffic conditions while Active Steering Assist keeps you centered in your lane. To ensure that you know the appropriate driving speed, Speed Limit Assist displays the posted speed limit on your dashboard. If you’re traveling up to 45 MPH, Active Brake Assist can step on the brakes when the Cross-Traffic Function detects a potential collision with vehicles approaching from either side of an intersection. If a rear-ender occurs, PRESAFE® preps you and your front-seat passenger and holds the brakes to prevent a secondary condition. Preventing the vehicle from drifting across the highway, Active Lane Keeping Assist alerts you with a wheel vibration and then brakes individual wheels to keep you in line. Change lanes and Active Blind Spot Assist warns you audio-visually if a vehicle has entered your blind zone, and prevents you from going into the occupied lane. You can avoid the dings and errors of outrageous parking with these high-tech additions. Active Parking Assist helps you parallel park by handling steering and braking into a spot that you choose while you take care of the throttle. Sensors in the front and rear bumpers signal you when you get too close to stationary objects. To help you with all kinds of maneuvers in tight quarters, the Surround View System merges views from all external cameras into a virtual top-down view of your surroundings. It includes a feature to assist you in aligning your SUV and its available hitch to a trailer. The ultimate convenience of this package is Hands-Free Access, which lets you open or close the power liftgate with a wave of your foot under the rear bumper. You can then load or unload the rear even when your arms are full. This trim upgrades the interior with such additional genuine wood options as Dark or Light Brown Linden, or hand-polished Burl Walnut. Its cargo capacity starts at 19.4 cubic feet but expands to 56.5 cubic feet when you drop down the rear seatbacks. Acceleration from 0 to 60 MPH takes only 6.3 seconds. Starting with this version, which goes from 0 to 60 MPH in 6.4 seconds, all later trim levels feature the 4MATIC® permanent all-wheel drive. However, also available for this model is an Off-Road Engineering Package that enhances performance on the trail. It comes with an under guard for protecting more sensitive components and features an off-road lighting function that relies on the Exterior Lighting Package. With the package, you can define your driving character by pushing a button for one of four modes: Off-Road, Slippery, Incline, and Trailer when equipped with the available tow hitch. To ease going down steep slopes, Downhill Speed Regulation automatically maintains a pre-defined crawl speed. Excite your drive with the coupe form and agility of this trim, which accelerates from 0 to 60 MPH in 6.4 seconds. Unique to this trim is the Black Ash wood interior accents and heated windshield washers. The available Sport Exhaust System enhances performance while encouraging a distinctive sound signature. Cruise easily through quiet neighborhoods on Sunday mornings, accompanied by a subtle exhaust harmony. You can also rush down the freeway with a mighty roar from the four chrome tailpipes. There’s plenty of this model that adds a plug-in hybrid electric motor to the 2.0-liter gasoline inline-4. Fuel efficiency increases to an EPA-estimated 75 MPGe while increasing combined performance to 315 horsepower and 413 lb.-ft. of torque with the E-BOOST feature. The 0-60 time takes a mere 6.2 seconds. You can conveniently charge the lithium-ion battery from a home outlet, through the gas engine while you’re driving, or at a public charging station in less than 2.5 hours. The radar-based Regenerative Braking System keeps track of your speed and distance to the car in front. As you adjust your driving speed to traffic changes, the system automatically manages regenerative braking to recover as much energy as possible. The result is a more extended driving range for the battery. 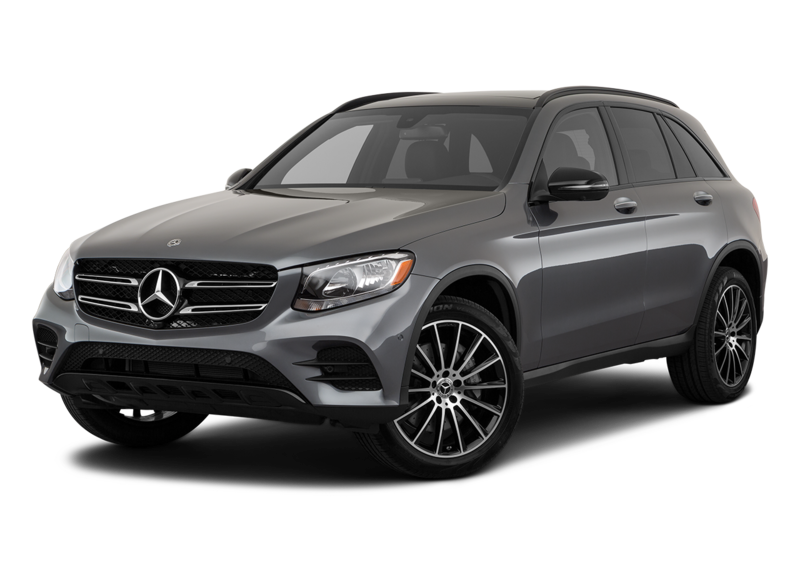 2019 Mercedes-Benz AMG® GLC 43 Coupe: With 362 horsepower and 384 lb.-ft. of torque, the AMG®-enhanced 3.0-liter V6 Biturbo rushes from 0 to 60 MPH in 4.7 seconds. 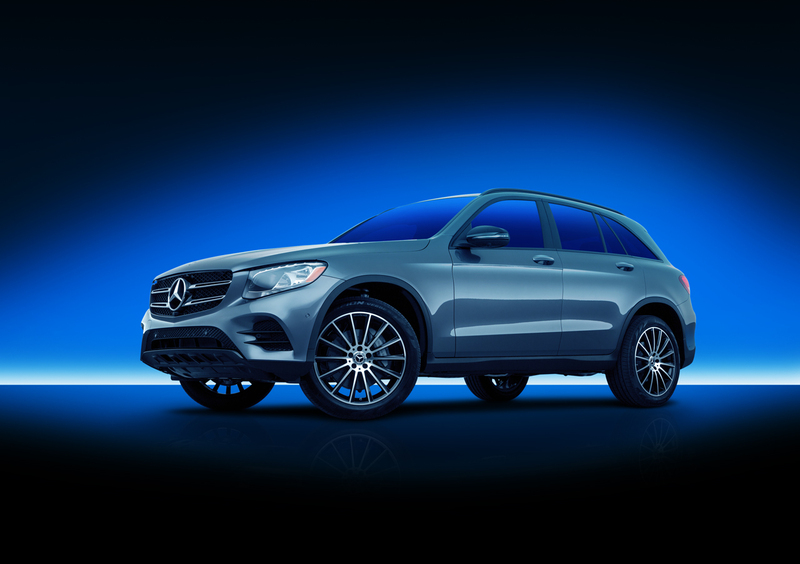 2019 Mercedes-Benz AMG® GLC 63 Coupe: The handcrafted AMG® 4.0-liter V8 Biturbo goes from 0 to 60 in 3.8 seconds, backed by 469 horsepower and 479 lb.-ft. of torque. 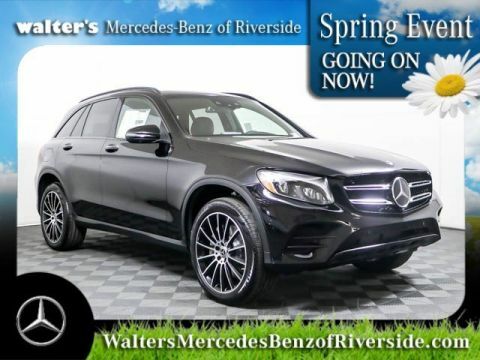 This model includes the AMG® Performance 4MATIC® all-wheel drive. 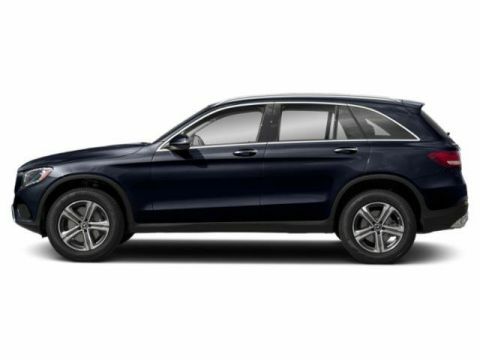 2019 Mercedes-Benz AMG® GLC 63 S Coupe: Jumping from 0 to 60 in only 3.7 seconds, this model is backed by 503 horsepower and 516 lb.-ft. of torque from the handcrafted AMG® 4.0-liter V8. 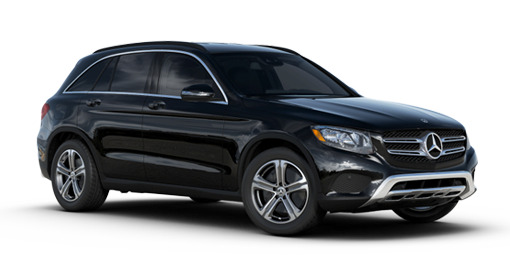 This model includes the AMG® Performance 4MATIC® all-wheel drive. 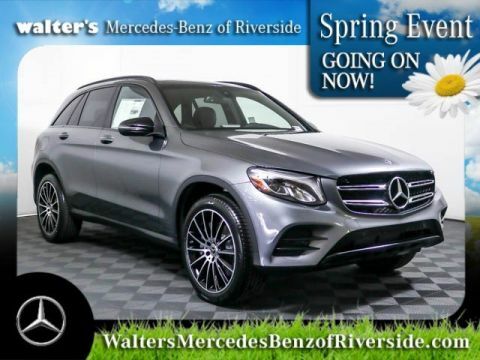 There is a plethora to select from in the 2019 Mercedes-Benz GLC, and almost just as many specials and lease offers. Come in today and test drive one of the finer things in life. 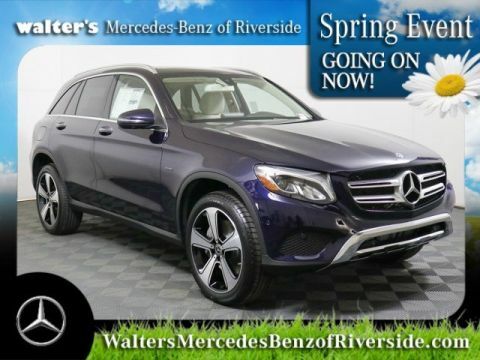 Come to Walter’s Mercedes-Benz of Riverside today to lease a new 2019 Mercedes-Benz GLC 300 SUV or a 2019 GLC 350e hybrid SUV. 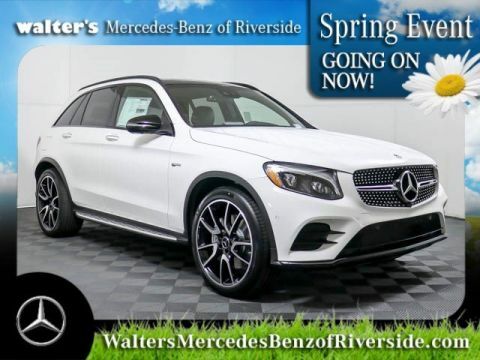 We have the new 2019 Mercedes-Benz GLC for sale, and you can ask us more about your Mercedes-Benz lease and finance options!